IBM is looking to create a more secure internal environment by reportedly banning all USB drives, as well as other portable storage devices, for its employees. The company is, instead, encouraging workers to use the company's cloud-based file and data sharing service to move data around internally. 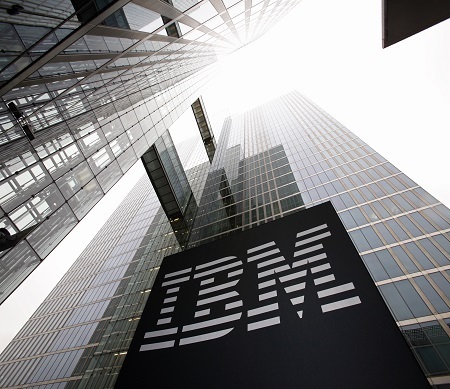 Even IBM notes that the decision, which was made by Shamla Naidoo, the company's CISO, is bound to be disruptive for some employees as it rolls out company-wide over the next several weeks after being tried out in certain divisions first, according to the report. IBM itself is not confirming the specifics of the report, only that the company does review its internal security policies on a regular basis. "We regularly review and enhance our security standards and practices to protect both IBM and our clients in an increasingly complex threat environment," a company spokesman wrote in an email to Security Now. The havoc a small device such as a USB stick, SD card or flash drive can cause is not lost on other security watchers. "Frankly, I find it funny that they still hand these out at security tradeshows," Mukul Kumar, the CISO and vice president of Cyber Practice at Santa Clara, Calif.-based Cavirin, wrote in an email. "IBM's move is a step in the right direction in that external USBs have, over time, been a major vector for malware." However, the proof will be in how they "sign" these drives to be readable. Their move is part of a broader approach to security-in-depth to protect the overall cyber posture of an organization. This includes perimeter, network, OS, application, and data, spanning both hardware and software. Nathan Wenzler, the chief security strategist at AsTech, a San Francisco-based security consulting company, noted that the banning of USB and other devices is a significant security change since these tools are a legitimate concern for CISOs. However, is it worth adjusting an entire company culture? "We've simply gotten used to having these easy tools around, and to now ban them out of a concern for security is going to be incredibly difficult to accomplish, as you're not just turning on new technical security controls, but you're now trying to change the culture of how people have operated for a very long time," Wenzler wrote in an email. "Ultimately, this sort of culture shift may not be worth the kind of ban IBM is putting in place in lieu of other security controls that could protect their intellectual property, critical data and corporate reputation without upending the way people are used to conducting business." Not to mention that the online file sharing tools that are being provided as an alternative come with a whole bevy of technical challenges that employees are already bringing up (i.e., "What do I do for a system that isn't connected to a network?"). However, Boris Vaynberg, CEO and co-founder of Solebit, an Israeli security firm, wrote that IBM is addressing a major concern for companies of any size: the endpoint -- a major weakness no matter how sophisticated the internal security of company is. "The endpoint is the last layer of defense, and once you allow the ability to connect removable storage that may contain malware, you are skipping, by definition, any other security measures that you have on your network," Vaynberg wrote. "Today, organizations are investing a lot of efforts to deploy advanced network level security capabilities to do real prevention, all to avoid the heavy cost of the remediation process that usually takes place once the attack reaches the endpoint."